Home Numerology Angel Number Meanings Quadruple Digit Angel Numbers Meanings Angel Number 1313 Meanings – Why Are You Seeing 1313? In the morning you pick up a coffee and a magazine and the cashier asks you for $13.13. You are running late for an early afternoon meeting and glance at your phone for the time. It reads 13:13. After work you pop into the bookstore and a title catches your eye. Waiting to pay you glance at the barcode and see that it ends in 1313. Is this all just a strange coincidence, or is something more happening? Learn the meanings for the quadruple digit Angel Number 1313. 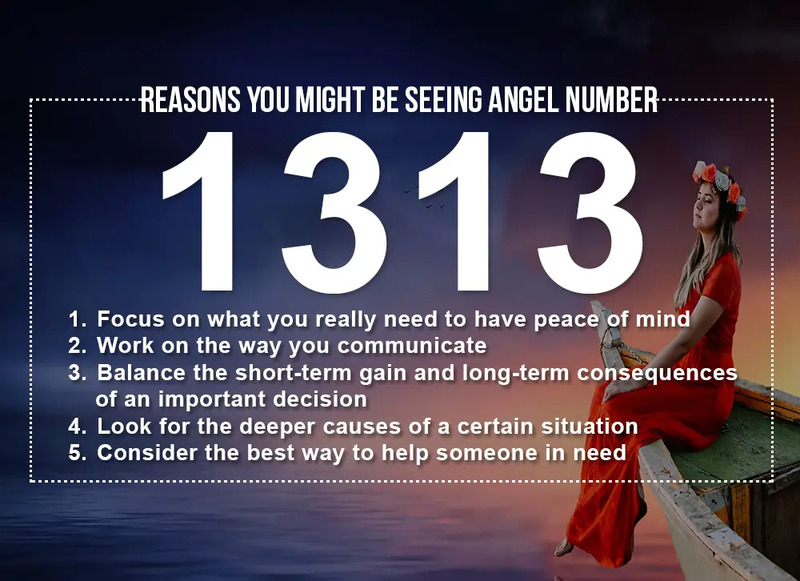 What does Angel Number 1313 mean for love? Often when we catch ourselves noticing the same number over and over during a short period of time this is because an Angel – a collective name for spiritual entities that work to support us – is bringing it to our attention. Angels want to support us in our lives, but it is difficult for them to communicate with us directly as most of us cannot sense them. Angels will often nudge us to notice numbers, not only because they are everywhere, but because they carry specific messages. Mathematics is universal across cultures because the universe is constructed according to a geometric plan. This makes numbers like the DNA of the universe. Numbers carry information about the universe. 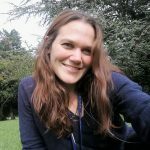 What could the Angel Number 1313 being trying to tell you? When we are feeling out of sorts, we are often unsure why. We can look for answers and blame this general feeling of cloudiness on a variety of things: trouble at work, weight gain, the perception that someone else is not pulling their weight in some way. The Angel Number 1313 will often show up to say that we have not correctly identified the source of our unease or unhappiness. It suggests that we take a more honest look at our lives and at ourselves to get to the root of the problem. We often expect people to read our minds and know what we want without us having to tell them. This path often leads to disappointment. The Angel Number 1313 will often appear not only when we are failing to communicate, but also when the way we are communicating is causing our intentions to be misinterpreted. Seeing 1313 is a reminder to check that we are communicating both sufficiently and clearly. The Angel Number 1313 will often show up when we are struggling with a big decision. It is a reminder that we need to consider all the consequences of the different paths before us and make a decision that truly aligns with what we want from life. Seeing 1313 often happens when a decision is forcing us to balance something we want in the present with something that we might need in the future. It reminds us that time adds interest, and that delaying payment may leave us paying much more. We often think that we understand what is happening around us. We accept simple explanations that we are given, and we can be quick to place blame. The Angel Number 1313 suggests that a certain situation is not as black and white as it may appear. We need to take a closer look at root cause of a situation, and the true motivations of the different players in the game. No one ever wants to say no to a friend in need, and are usually happy to provide help when asked. However, sometimes the help that a person asks for is not necessarily the help that they need. The Angel Number 1313 can appear when we need to be wary about how we go about helping someone. They may be struggling to see their true situation clearly, and the help they seek may be a short-term remedy that could have detrimental effects in the long term. Use your powers of perception to understand their situation more clearly, and your powers of communications to gently steer them in the right direction. When it comes to love, seeing 1313 suggests that now is to the time to engage in open and honest communication. Whether it is finally telling someone how we feel about them, or broaching a difficult problem with our partner, it is time to take the lead and communicate. Once we get started, we may find that the conversation is not as daunting as we originally thought. However, don’t get so caught up in what you have to say that you forget to listen to their response. What specific message an Angel Number has for you depends on the individual challenges that you are facing. Angel Numbers will be shown to us in order to answer a specific question that we have in our hearts. They will appear in a moment when this question is in the front of our minds, in one way or another. Angels send us signs that they want us to understand and will always provide context. Use your intuition to understand the specific message that the Angels have for you. Taking a closer look at Angel Number 1313, it is a combination of the number 1 and the number 3, with their meanings amplified by their double appearance. It is also linked with the number 8, as in numerology numbers are usually reduced to a single digit cardinal number or one of the three Master Numbers. In this case 1+3+1+3=8. 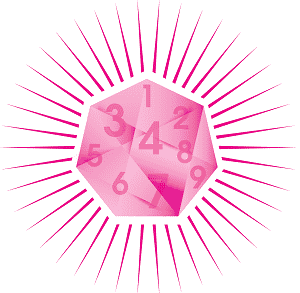 The number 1 is a symbol of the creative forces that shape the universe. However, the creative energy of the universe does not exist as something separate and distinct. We are all part of this creative force, shaping the world, and in particular our immediate lives, with our actions and decisions. The number 1 symbolises this power and responsibility. It will appear when an opportunity is aligning before us, but reminds us that it is up to us the grasp that opportunity and use it to shape the life that we want. The number 3 is a number of the Trinity and represents the balance between mind, body and spirit. It is also a number of communication, both in terms of listening and expressing. Three refers to our ability to sense the world around us, both physical and metaphysical, if we just pay attention. It also refers to our ability to express our thoughts and emotions with others, both with words and without. The number 8 is closely linked with the material world, and often refers to abundance in this area of our lives. However, the comfort and security that we crave in the material part of our lives is designed to give us the peace and confidence that we need to flourish in other ways. The number 8 will usually suggest that we have an opportunity to improve our professional or financial security. It reminds us that it is not wrong to want these things, as they support us in our higher purpose. Taken together, the Angel Number 1313 is linked with our ability to shape our lives as we wish. It reminds us that one of the most important powers we have when it comes to controlling our lives is our power to communicate, both in terms of understanding other people and expressing ourselves. Seeing 1313 also suggests that at this time we should direct our energies towards bringing balance or abundance to something in our material world. We should not feel guilty about wanting things such as financial and professional success. This security gives us the confidence to flourish in other areas of our lives. Do you seek guidance and insights into the past, present and future, with regards to relationships, love, or money? 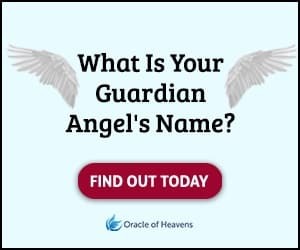 If you are frequently seeing the 1313 Angel Number, take this popular free test to see whether your Guardian Angel is trying to send you an urgent message. 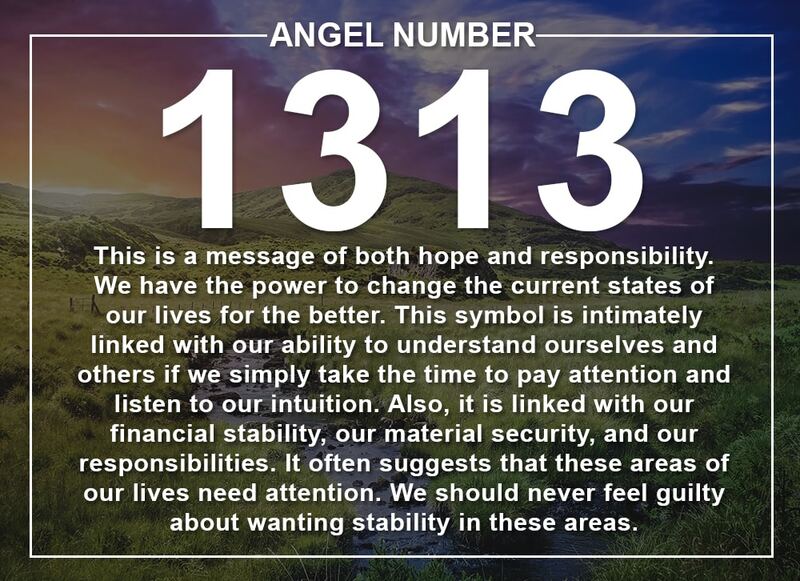 The Angel Number 1313 is linked with our ability to shape our lives as we wish. What could 1313 be trying to tell you? Learn its important meanings here!